Sterling Children's Books, 9781454921745, 40pp. 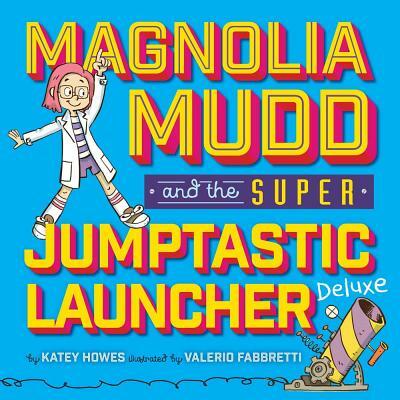 Meet Magnolia Mudd: an inventive girl who'd rather tighten a nut and a bolt than tie a ribbon or bow. For Magnolia Mudd, her Uncle Jamie is the very best grown-up. He always invents cool things with her . . . until the day he and Miss Emily announce their engagement. That's bad enough--but even worse, Miss Emily wants Magnolia to be a FLOWER GIRL No way is Magnolia tossing petals. But it turns out that Uncle Jamie's new bride-to-be may be more fun that Magnolia ever imagined . . .
Katey Howes is proud to be a geek. She loves physics and biology, reads everything from classic children's lit to modern neuroscience, and has strong opinions about commas. A former physical therapist specializing in brain injury, Katey now divides her time between writing and raising kids with a love of books. In addition to her own blog about raising readers, Katey is a team member at All the Wonders and contributor to websites like The Nerdy Bookclub and Multicultural Parenting. Katey is a member of SCBWI and is very active in the kidlit community. Find her online at kateyhowes.com, on Twitter @kateywrites, and on Instagram @kidlitlove. Valerio Fabbretti is a comic artist and children's book illustrator. Originally from Rome, Italy, he now lives in San Francisco.